Today I have the style guides for the two characters in my short cartoon. That pesky Aye-Aye and Tim Portans. 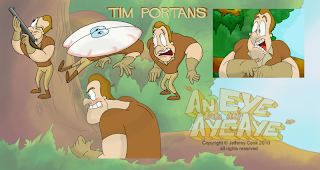 I had posted the Tim Portans style guide in the last 'Aye-Aye update' which you can check out here. All of the character frames used here are actual frames from the animation. 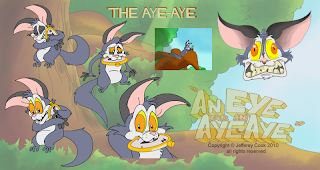 For any new readers passing by, I'm independently working on finishing my short cartoon "An Eye for an Aye-Aye", A cartoon which started out as my student film in 2007. I work on it in my spare time and the majority of the software I use for clean up and Ink & Paint are Open Source or Freeware. You can track my progress on the project here. I'm hoping to have it finished and online by the end of the year but it's still too early to confirm that as I have other animation projects and work commitments happening as well. This week I bought a Wacom Cintiq 12WX and I am very impressed with it. Since my last tablet was a $75 model, the jump to Wacom has been pretty amazing. I've only had it for a few days so I haven't properly put the Cintiq through its paces yet but it has already sped up Digital Clean-Up. If you have been following my posts on Twitter and Facebook I mentioned that I had to slightly rearrange my room to find a better place to put the Cintiq without packing away my animation desk, which I still plan to animate on. This is good as I bought the Cintiq to speed up my current animation methods instead of entirely replace the old methods. Thank you to all who have checked out my updated Showreel online, it's had over 100 views now and every view counts. I plan to upload updated Showreel's every 6 months or so, look out for the next one at the end of the year. 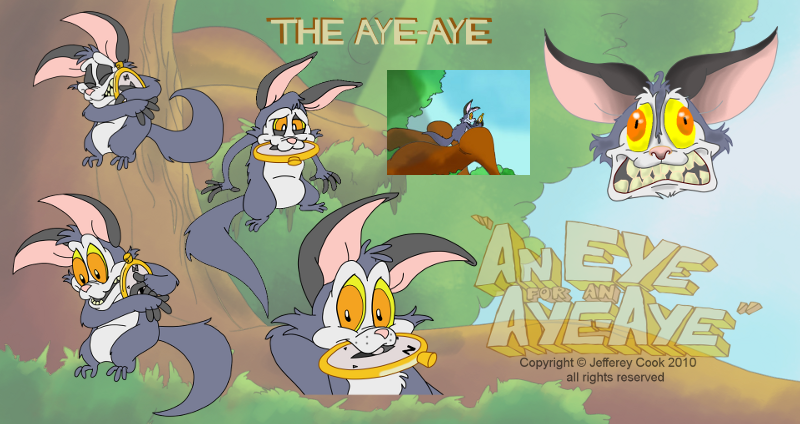 In one of my next posts I'll upload an edited sequence from "Aye-Aye". Cheers man, I'm still getting used to the Cintiq. I'm looking forward to getting some new animation done before the end of the year. So watch this space. Apart from being pretty busy, it's all good Mate. Hope things are working out for you too.